Serfac Limited has added top global cooling and air conditioning brand NRF to its extensive product range. Since 1927, NRF has been the leading manufacturer and supplier of engine cooling and air conditioning products for the automotive aftermarket, industrial and marine sector. 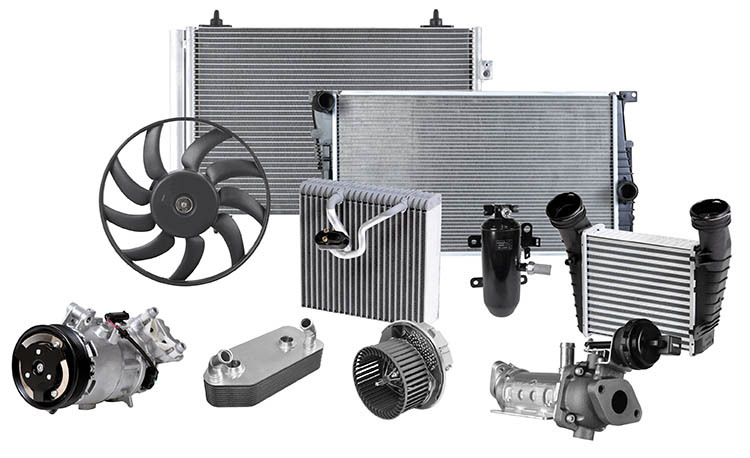 An established supplier of OEM components, a significant number of vehicle manufacturers install NRF radiators, oil coolers, and other cooling solutions as OE parts. The company has an extensive R&D programme and is continuously developing and extending its product range to meet the requirements of the automotive industry. NRF’s ISO-certified R&D processes ensure superior quality and its extensive engineering and test facilities guarantee that its cooling systems comply with the most stringent OE requirements. With excellent ordering platforms, a global distribution network and 24-hour delivery, NRF is the number one partner for the aftermarket. Serfac is stocking a comprehensive range of cooling products from NRF, including radiators, condensors and compressors for cars, trucks and buses. With a product range of over 8,000 products, NRF offers one of the most extensive cooling ranges in the aftermarket. Its unique Easy Fit system offers a complete installation kit in one package, ensuring a correct and efficient fit every time. Serfac is listing a wide range of NRF applications. For more details and specific references, please contact your Serfac area manager for details or email sales@serfac.ie for more information.